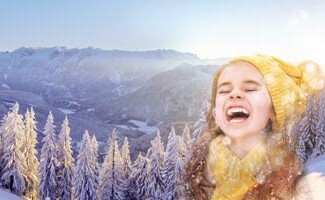 Want to go to the mountains for the next winter holidays? 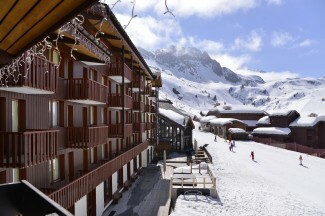 Our Belle Plagne hotel opens its reservations for your ski holidays 2017-2018. 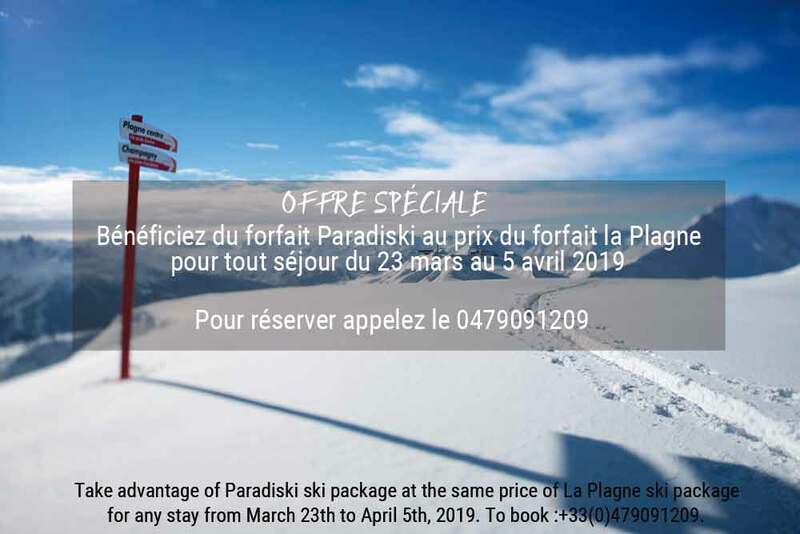 Enjoy the activities on the Paradiski ® ski area, near our property, and book your accommodation at the best price! Whether you are with family, friends or in a group, there will be something for everyone. 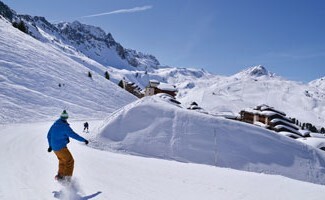 Apart from the traditional practice of skiing, the resort has developed a whole range of activities to delight young and old, sportsman or not! 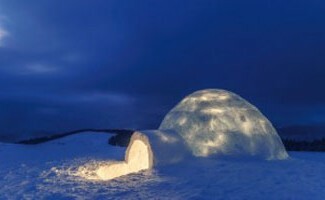 You can opt, for example, for sledding at the leisure area. After you have your helmet and your gear, go on the adventure. You will descend in a tunnel of more than 900m, marked by turns. Enough to fill up with sensations for many! Families and children will particularly appreciate the dog sledding, a fun and emotional activity. While the less adventurous will go and relax in the hotel’s indoor jacuzzi. 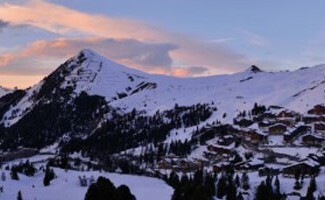 From your Belle Plagne hotel, you are ideally placed to explore the Vanoise National Park. With over 4000 hectares, it is the ideal place for a hike. During your walk, you will see the various nature reserves that staked it. Hopefully, you will come across marmots, royal eagles or ibexes that testify to the richness of the fauna and flora of the region. It is also the opportunity to take time for oneself and to walk quietly in the wilderness while sniffing the fresh air of the mountains. Everything to recharge in depth and recharge the batteries. The park has as many different trails as there are ways to go through them. You can choose, according to your tastes and rhythm, for a ski tour, dog sleds or snowshoes. The less sportsmen will be able to call a professional guide to accompany them in their discovery of the mountains. Great sports enthusiasts and thrill seekers can indulge in speed riding. Halfway between paragliding and skiing, this sport is an original way to discover the valley. Whether you are a beginner or an expert in climbing, Belle Plagne offers you to exercise on a wall of ice. Accompanied by a specialized guide, you will discover the mountaineering techniques specific to climbing on glacier. Take yourself for a Olympics athlete by trying Bobsleigh. This quite impressive sport consists of descending a narrow track at full speed and in a measured time. Aboard a Bob-Raft, you will take the biggest Olympic track of Bobsleigh in Europe. Everything to put you in the conditions of a global competition. Do not hesitate to book your Bob-Raft in advance and share this activity with others. 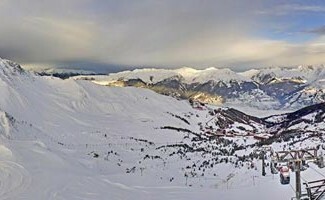 Your ski holiday in La Plagne looks bright! Whether you are in a group, with your family, with friends or in couple, there will be something for everyone. 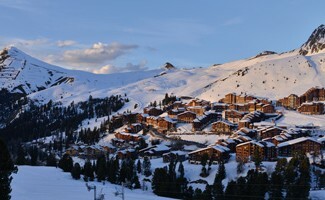 Book your stay at our Belle Plagne hotel now!